RUGBY UNION: The fans who have forgiven the Waratahs and turn out for their match against the Blues at Allianz Stadium Saturday night will be given a true indication of what the team is about, coach Daryl Gibson says. After losing to the Southern Kings a fortnight ago in front of just 10,555 spectators - one of the most humiliating defeats in the club's history - few fans would have been planning a return trip. But after the Tahs endured the torturous week of criticism and then managed to defeat the Queensland Reds in Brisbane, Gibson believes they're on track for a resurrection. "The players and coaches are on the same page, we're certainly heading in the right direction," Gibson said. "The evidence for that will be how we turn up against the Blues; our execution, intent and urgency. Our players want to show our fans, the loyal ones who will turn up, exactly what we're about as a team. "The fans' frustration is the players' frustration as well. "As a group we've worked on our commitment and intent, it was clear how non-urgent we were in that game and against the Reds we saw a lot more of the commitment from our players. "That's not a change in how we technically do things, that's a change in mindset. "The win against the Reds was a tremendous boost in morale, it signals to the team that we're on the right track and what we've been doing, the changes we've made, the type of game we're trying to play, shows that we're improving. "The important thing is follow-up, making sure it's not just a one off." 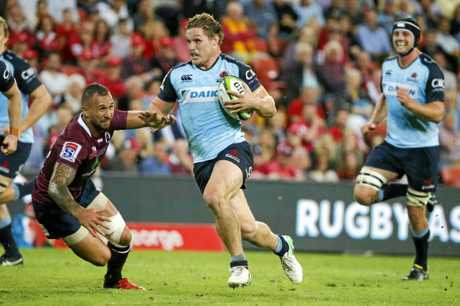 NSW captain Michael Hooper has been head and shoulders above the rest of the squad in performance this season but Gibson believes his teammates are finally pulling their weight. 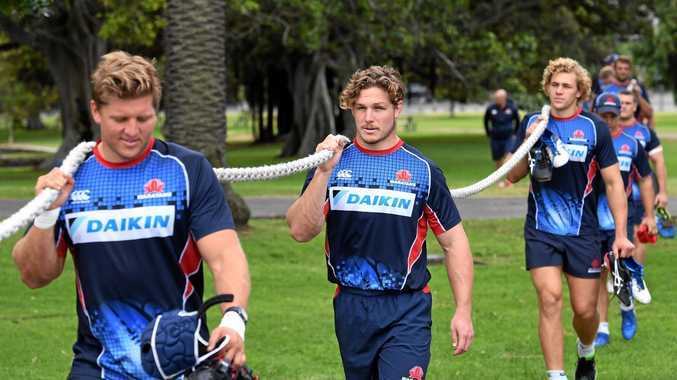 "When you've got a captain such as Michael Hooper who leads from the front, in everything he does from the training field and on the paddock, you can't help but follow," Gibson said. "He's starting to get the support now of the playing group in terms of getting really in behind him with their performances, and that's going to be good for the team." The Blues, last in the New Zealand conference, have declared they'll be chasing bonus-point wins for the rest of the year as they chase an unlikely finals berth, but Gibson said that can play into his team's hands. "We've been focusing a lot in the last two to three weeks on our defence, that's been leaking points and we've been conceding from certain areas," he said. "We've looked at our vulnerabilities and how we can strengthen them up. "Against a team like the Blues who like to hold possession for long periods and have multiple threats across the park with ball in hand, that's an area that if we get right, can provide a source of opportunity for us and nullify something that's their strength."